Difference Between Fine Lines And Wrinkles,What Is It Actually? What’s The Difference Between Lines And Wrinkles? We often hear or read about fine lines and wrinkles with both terms used interchangeably. But are they really the same thing? If not, what’s the difference? What are the causes? And how do you prevent or get rid of them? 1. What Are Fine Lines & Wrinkles? Both fine lines and wrinkles are associated with aging. However, fine lines are not exclusive for older people. These are ridges on the skin that many dermatologists describe as around two millimeters or less in depth. They usually show along the areas of the face used for facial expressions such as the eyes, your forehead, and around your eyebrows and mouth. More often than not, fine lines are due to your skin’s lack of moisture and not your age. However, fine lines can also be considered as the warning signs before full-on wrinkles appear along these portions of your face. Fine lines are also easier to reduce or mask than wrinkles. Wrinkles, on the other hand, are lines that are deeper than two millimeters. This is the main difference between fine lines and wrinkles. Wrinkles are also more complicated, more obvious, and more permanent. 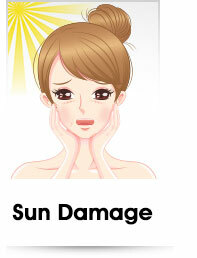 They appear because of the loss of your skin’s elasticity as you age. 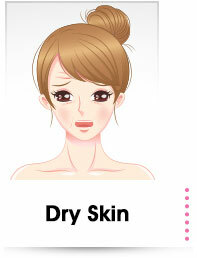 Because of reduced elasticity, your skin becomes thinner and tends to fold in. The other difference between fine lines and wrinkles are the reasons why or how they develop. Fine lines are brought about by sagging, slack skin either due to photo damage, dehydration, or aging. On the contrary, wrinkles are mainly caused by the contractions of muscles underneath your skin. 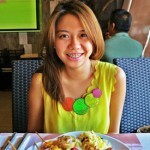 This is why they appear around the areas of your face involved in making facial expressions like smiling or frowning. Because of the constant movement of your facial muscles and these muscles relaxing and contracting the same way each time, your skin develops folds along the usual lines made by your muscles. 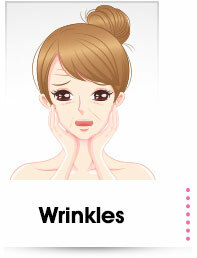 There are also two variants of wrinkles: static and dynamic wrinkles. Static wrinkles remain visible even when you have a poker face on, or when your facial muscles are all relaxed. Dynamic wrinkles show up when you move your facial muscles. 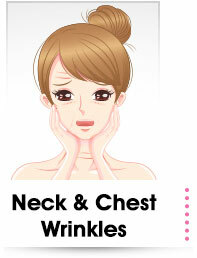 For example, the wrinkles that appear along with your forehead when you frown but disappear as you relax your face. Other factors that contribute to both wrinkles and fine lines are your genetics, diet, lifestyle, smoking, dryness, and exposure to pollution, sunlight and UV rays. All of these promote elastin and collagen breakdown in your skin. Both elastin and collagen are proteins naturally present in the skin that allows it to stretch and come back to its original condition. When they deteriorate, your skin loses its strength and elasticity, resulting in lines and wrinkles. As you get older, your body also tend to not produce as much elastin or collagen. 3. How Do You Get Rid Of Fine Lines And Wrinkles? While there’s really no way to stop protein disintegration as you age, there are ways to slow it down and somehow reduce fine lines and wrinkles. First, develop a habit of moisturizing your skin and face in the morning and at night. This will keep your skin hydrated, so it stays plumper and younger-looking. You can also try wrinkle creams infused with peptides, kinetin, retinol, or hydroxy acids. These ingredients help stimulate collagen production or remove the first layer of dead skin cells for a fresher look. You can buy these over-the-counter. One great product for wrinkle and fine line reductionis Stemuderm Anti-Wrinkle Dermatological treatment by Solvaderm skin care. It has four scientifically-formulated compounds intended to smooth out wrinkles. Theingredients of Stemuderm offer incredible anti-aging results, and this product is definitely a must-try! If over-the-counter stuff doesn’t work, move on to try prescription-strength products like tazarotene and tretinoin for fine lines and wrinkles treatment. However, these medications often have vitamin A or its derivatives which can lead to burning, redness, dryness, itchiness, irritation, or heightened sensitivity to sunlight. Therefore, it is recommended to use the lowest doses and always apply sunscreen when using these products. Speaking of sunscreen, apply it every day on your face and other exposed areas like the neck and shoulders. Shielding your skin from UV radiations also helps wrinkle creams work better and prevents the development of new wrinkles. Research has shown that sun damage increases wrinkle formation by causing collagen fibers to weaken. A broad-spectrum sunscreen with at least SPF 15 is ideal to protect your skin from both UVB and UVA rays. You may also try resurfacing procedures that remove the outermost skin layer, and the wrinkles and lines that come with it. These procedures include peels, microdermabrasion, dermabrasion, and laser therapy. These peel off damaged skin for a smoother, younger looking complexion. Another option is injectable fillers like hyaluronic, fat or collagen for smoothing out wrinkles and for a better skin quality. However, these may have side effects and may need to be redone after every few months. 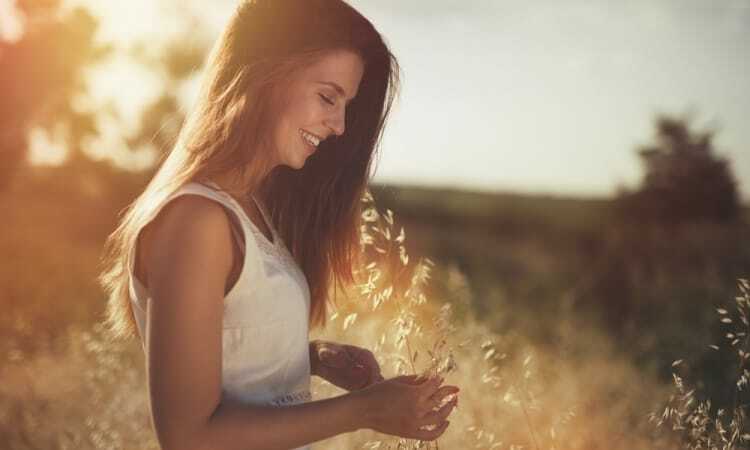 Face lifts are surgical procedures that get rid of facial wrinkles by removing excess skin or fat and tightening the muscles and connective tissues underneath. Depending on where you have wrinkles, the results can last for up to ten years. There are many options you could choose from, but the best way to reduce wrinkles and fine lines is by maintaining a healthy lifestyle. Proper diet, exercise, hydration, and minimal exposure to pollutants will make you look younger, longer. You should also make sure to get lots of vitamins, minerals, and antioxidants to improve and maintain your skin’s quality and appearance. One great product for wrinkle and fine line reduction is Stemuderm Anti-Wrinkle Dermatological treatment by Solvaderm skin care. It has four scientifically-formulated compounds intended to smooth out wrinkles. The first one is Argireline, a compound that works similarly to botox. SYN-AKE adds to the smoothening effect by relaxing the facial muscles. 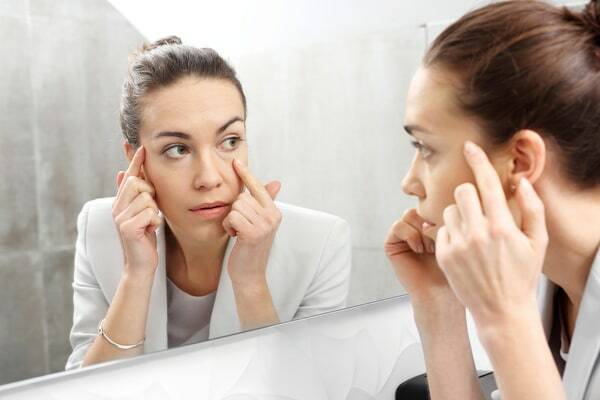 Matrixyl-3000 encourage hyaluronic acid, elastin, and collagen production. Lastly, the skin stem cell serum enhances skin repair and healing to help fight aging. These ingredients offer incredible anti-aging results, and this product is definitely a must-try! I hope you found this article helpful! Cheers to a prettier, younger-looking you!